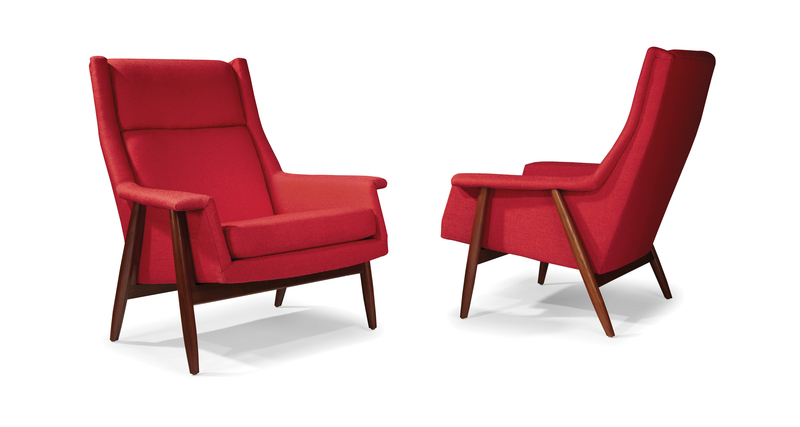 Designed by Milo Baughman in 1959, our Laid Back lounge chair is a midcentury modern classic. Scandinavian influenced, our Laid Back chair features handcrafted solid walnut legs and ultra plush cushion seat for maximum comfort. A matching foot ottoman is also available. Select from any of our in-house curated fabrics or leathers for upholstery. Solid walnut legs. Natural finish shown.